To really understand long-term changes in stream water quality, scientists have to know what’s going on in a watershed’s soils. That makes soil monitoring an essential, if unglamorous, enterprise. “I used to work road construction, and here I am after going through a whole lot of schooling and I’m still wielding a shovel,” said Michael McHale, a research hydrologist U.S. Geological Survey’s Watersheds Research Section in Troy, N.Y. In 1962, a seminal USGS publication included soil monitoring in a call for long-term monitoring of background environmental conditions in undisturbed watersheds across the country. A year later, the agency was tracking water quality across its Hydrologic Benchmark Network of relatively pristine watersheds. 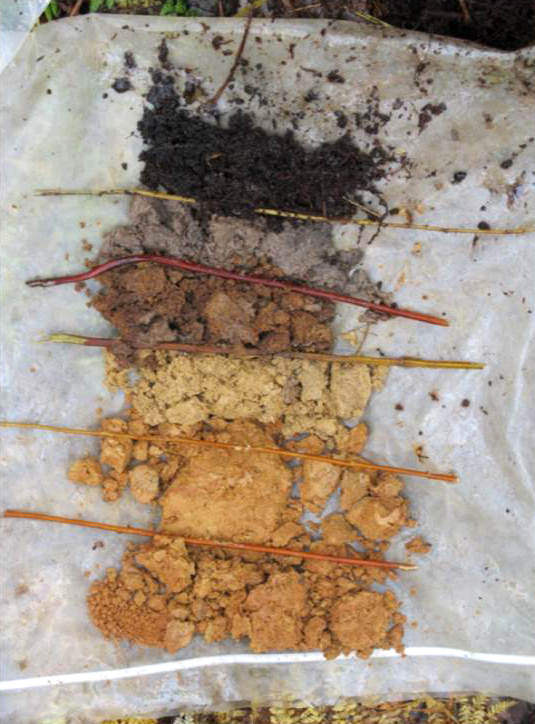 Fifty years later, the agency has overcome slim budgets and misconceptions about soil science and is about halfway through the first round of its Reference Watershed Soil Monitoring Initiative. The initiative plans to sample soil every seven years in 53 watersheds. Despite his hydrologist title, McHale works with soils often and says the sampling is fun, satisfying work. He likes the old-school methods that sometimes supply immediate, tangible results that rarely occur when collecting water samples. The agency’s initiative is coming online at a time when the long-term monitoring and resampling of soils increasingly recognized as an important tool for detecting environmental change. 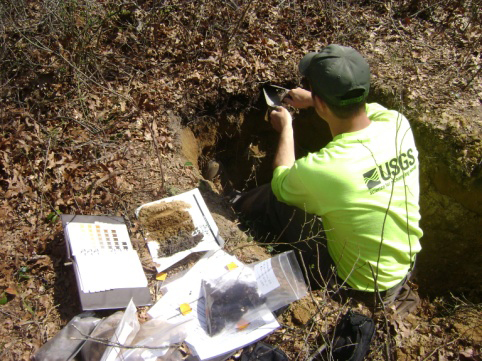 Conventional wisdom once saw soils as static and only changing over the scale of hundreds or thousands of years, but recent research has shown important changes can be detected over the course of five to 10 years. The soil quality and chemistry data will fill the gap between atmospheric deposition and water quality data already collected at most sites. Chemicals that settle on a watershed from the atmosphere land on vegetation and exposed ground eventually influence stream water quality, but they pass through the soil first. That’s where acidity is buffered and carbon and nutrients are stored and processed. Until recently, that point has been harder to prove to the budget-makers than the grade-schoolers that McHale occasionally visits to demonstrate the ins and outs of soil science.